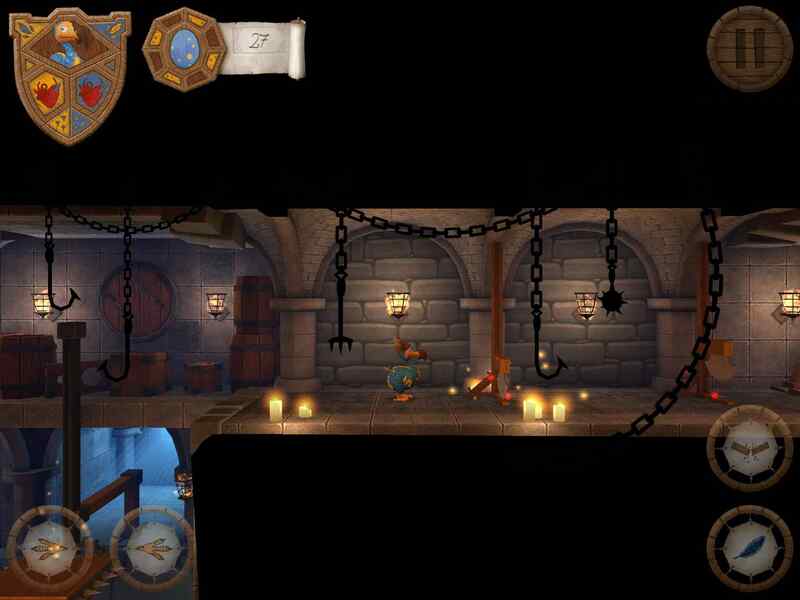 10 word description: Dodo vs deathtraps platform game. 80 levels. 20 hats. No IAPs. 10 word review: Spike pits and fire traps are fun. Dodo Master rules. 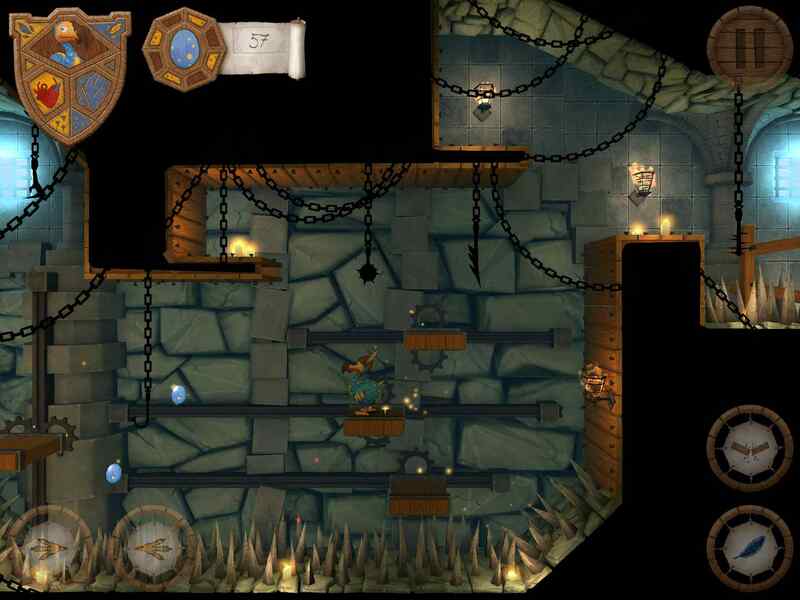 You will like this if you enjoy: Platform games featuring loads of dastardly traps. The good news: Looks great, sounds great, plays great. The levels are fairly short but packed with danger and opportunities to risk everything over and over again – classic platforming gameplay. The bad news: Just one thing – the dive button is very close to the jump button and I occasionally plummeted to my doom rather than jumping. You get used to it and it’s not a massive issue, although the option to customise the button positions would be great. 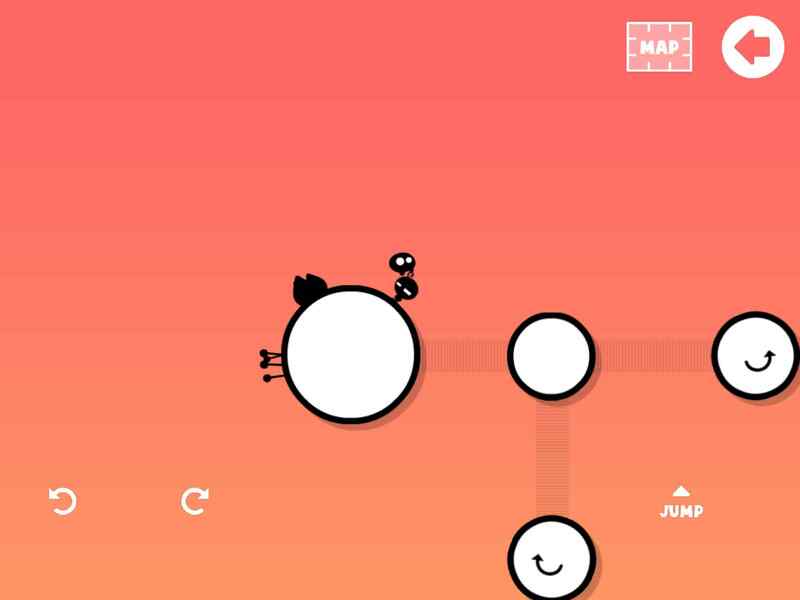 Arcadelife verdict: Dodo Master is a classic platform game experience. It has all the spike pits, fire, traps, swinging blades and nasty spiders you could possibly want, and then a few more just in case. I sat down to play a few levels and ended up clearing about a third of the levels in one long session. 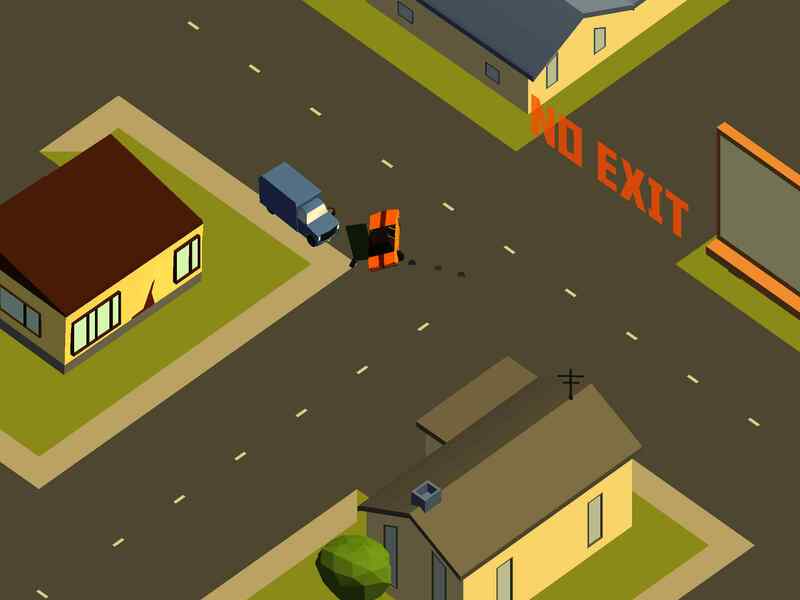 Please don’t make any more games like this – I don’t have time to enjoy stuff as much as this! 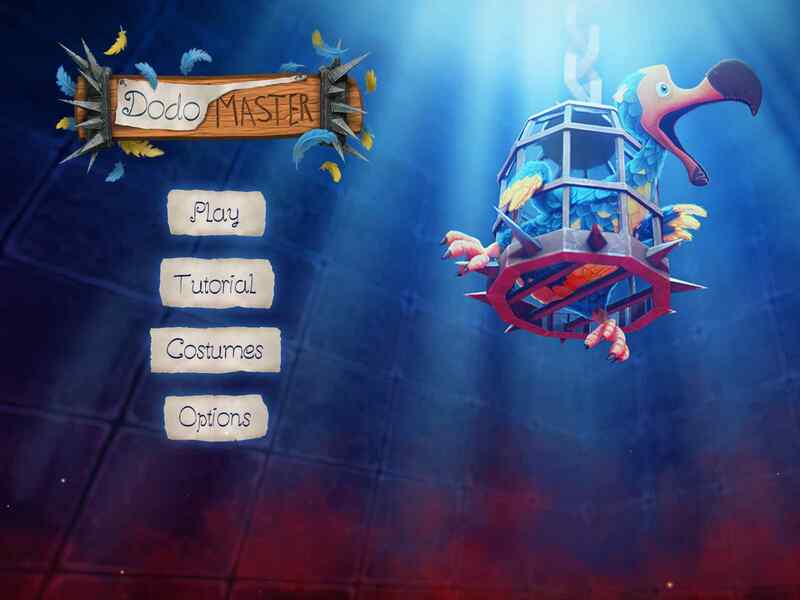 Dodo Master – just an excellent platform game. 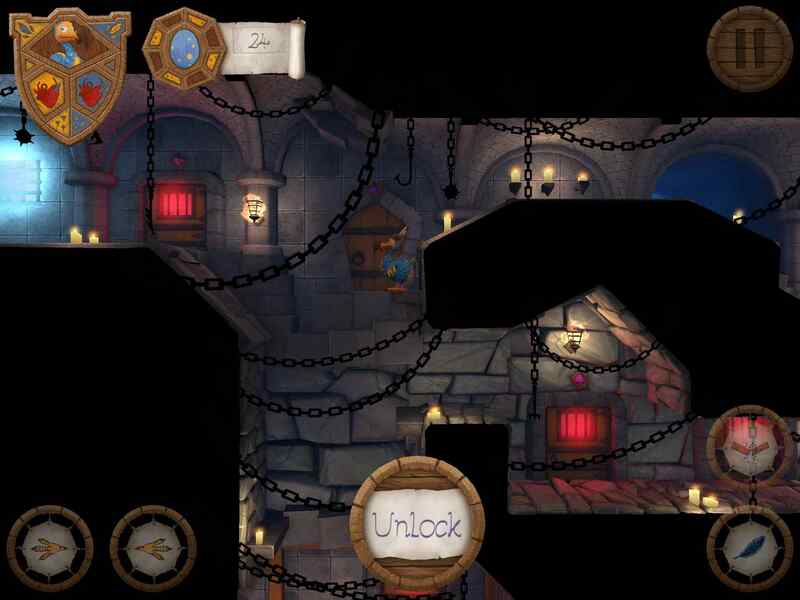 If you like platform games and you haven’t got this one, the app store link is right there at the end of this review. 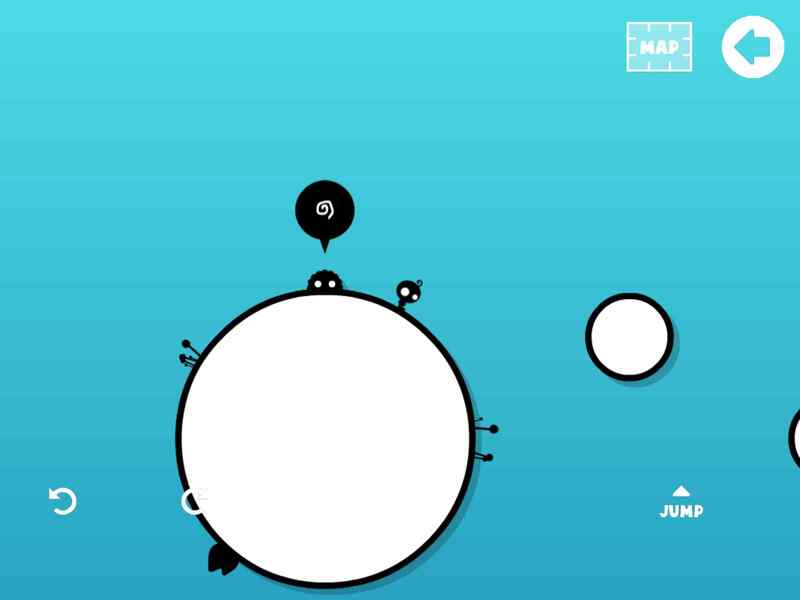 10 word description: 360 degree gravity platforming. Three modes including new adventure mode. 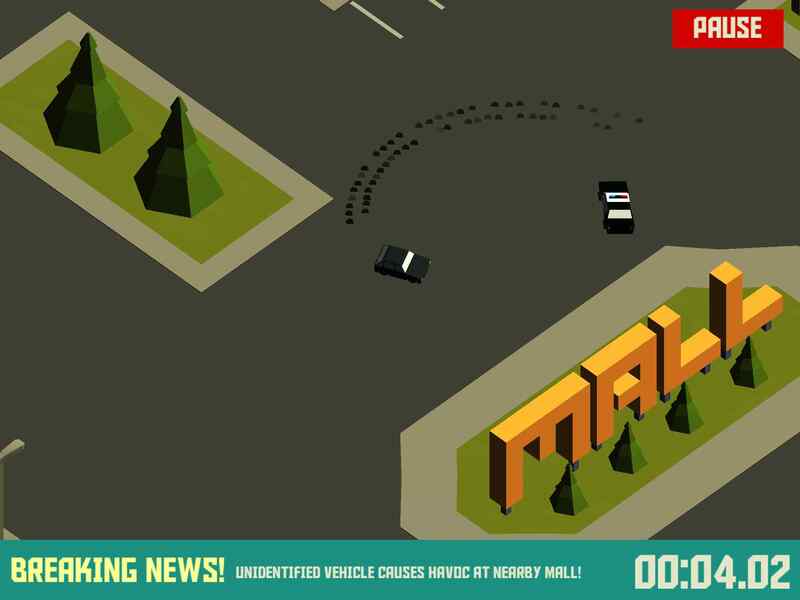 10 word review: Crisp graphics, compelling gameplay, great controls, new modes and fun. You will like this if you enjoy: Original TNTBF and TNTBF2, action/puzzle platformers with an emphasis on skilful control and timing. All of that in a new adventure / exploring mode. The good news: It’s more of the same, which is a good thing in this case. Presentation overall is very good, with the clean, crisp visuals and atmospheric soundtrack fans will be expecting. Controls are still great, no real need to change anything there. Adventure mode is probably what I always wanted from the TNTBF games but didn’t realise it until this happened. 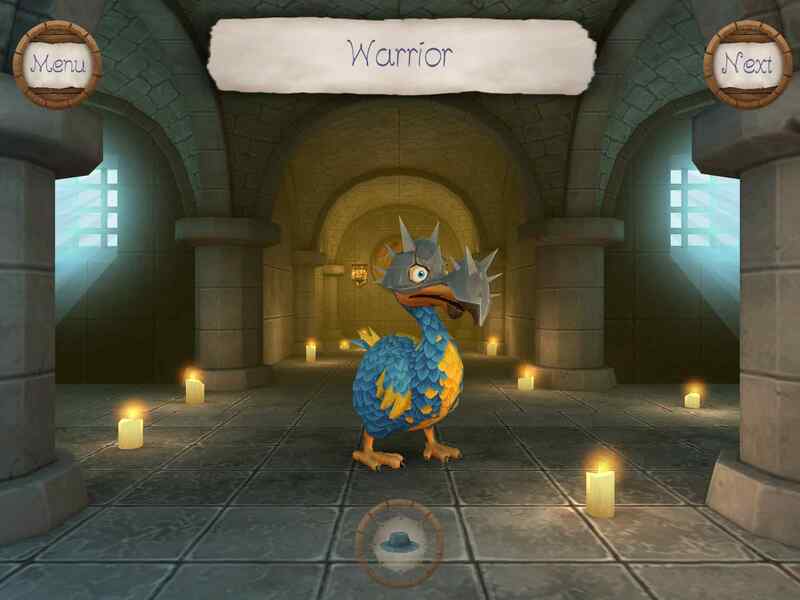 The bad news: There’s no freemium IAP rubbish here to waste your money on. Oh, hang on, that’s not bad news. 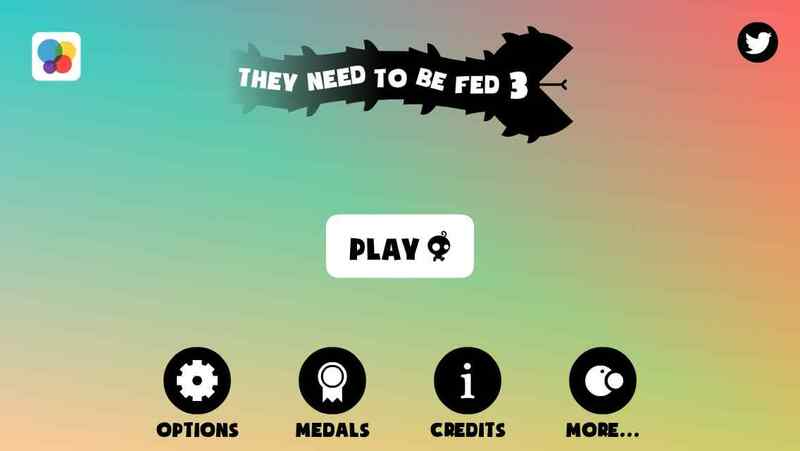 Arcadelife verdict: They Need To Be Fed 3 is exactly what a sequel should be – faithful to the previous games with enough enhancements to make it stand out as a great game in its own right. The challenge kicks in a lot sooner than it seemed to in the first instalments, with tricky timing and aggressive enemies appearing very early on. For fans of the series this is great as there is no delay before you have to really start playing this, rather than coasting through a long sequence of intro levels. Anyone new to TNTBF is just going to have to deal with the lack of a casual introduction and get on with it! TNTBF3 is worth getting just for the new adventure mode, which is good enough to be a standalone game. 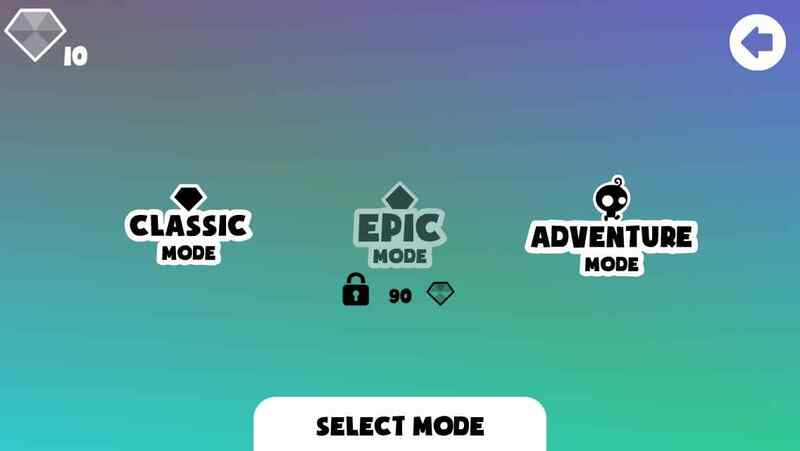 That mode unlocks after you collect 7 crystals, which is achievable upon completing the first 5 levels of world 1. 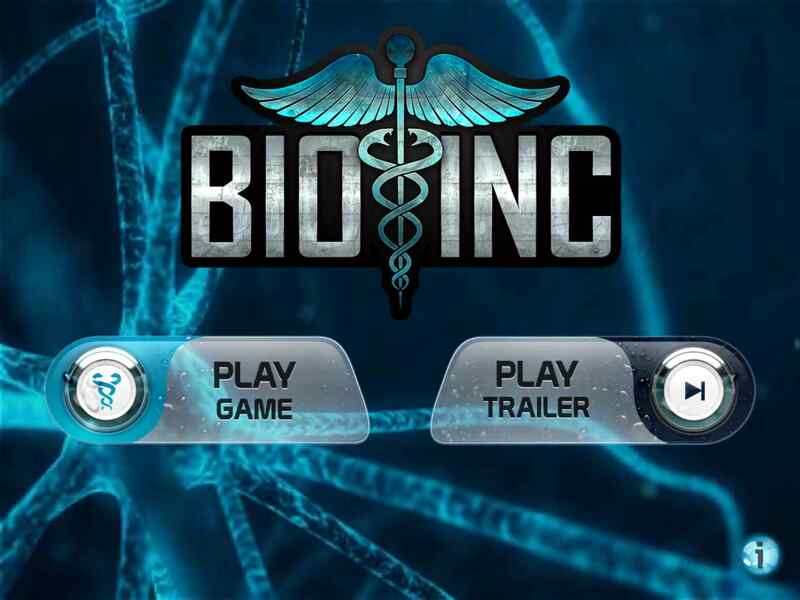 Overall, this is a great sequel, a great iOS game and highly recommended. 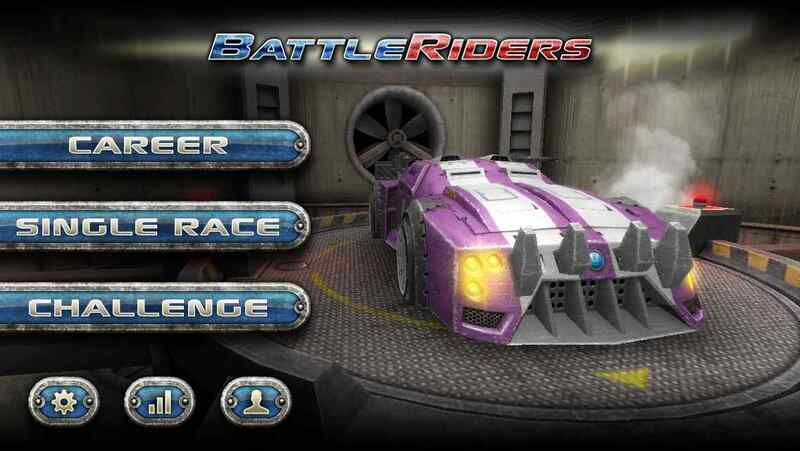 Battle Riders (iOS) coming soon – and you’re going to want it. You fancy a pink deathmobile? You’ve got it. It’s time to get excited about a game. Don’t forget to thank me when you buy this on September 4th and it takes over your life. What’s it called? Battle Riders. What is it? Combat racing game – Career mode, single race and challenges. 6 race types (Duel, Battle Race, Survival, Elimination, Clean Race and Time Trial), 3 environments, 9 tracks (plus reverse versions), 7 types of upgradeable car, 2 independent vehicle weapons. Oh, and you can spray your car all kinds of colours. No IAPs. Yeah, read that last bit again – No IAPs. For me, this has a great feel of classic games like Road Blasters, with the action focussed into arena style tracks littered with ammo pick-ups, speed-ups and cash. If you equate Carmageddon with the original Death Race movie, Battle Riders feels like the game version of the Jason Statham Death Race remake. Either way, it’s a heck of a lot of fun. I’ve played it quite a bit since I got a code for it earlier today. Here are two videos I recorded. If you don’t like the look of the arrow buttons, there are also joystick and tilt options. The iPod video was recorded using tilt. The game features a career mode with 120 events in 3 racing tiers that affect the speed and the weapons. 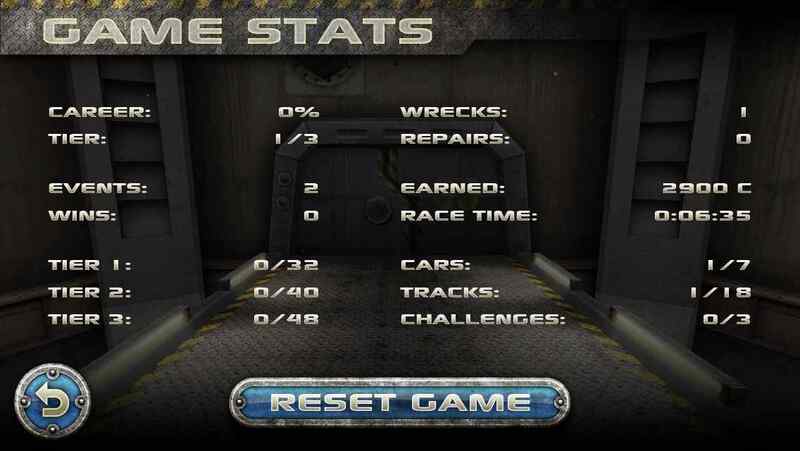 There are 6 racing modes: Duel, Battle Race, Survival, Elimination, Clean Race and Time Trial. Three challenge modes get unlocked by completing the career tiers. 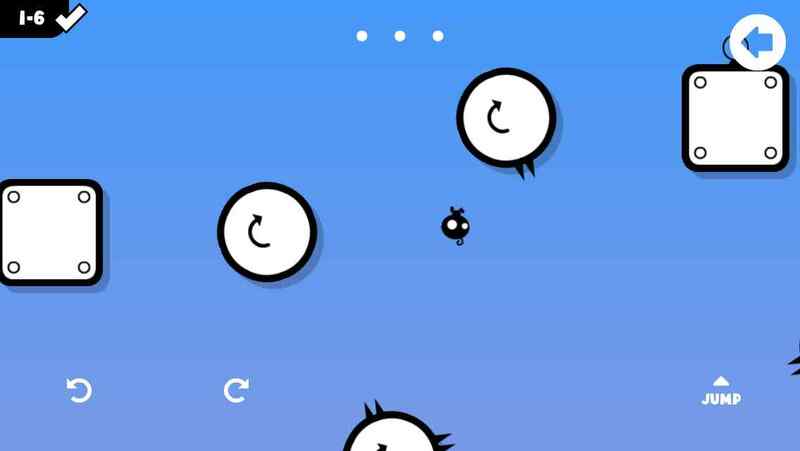 These are: Time Attack, Minefield and Barrels. 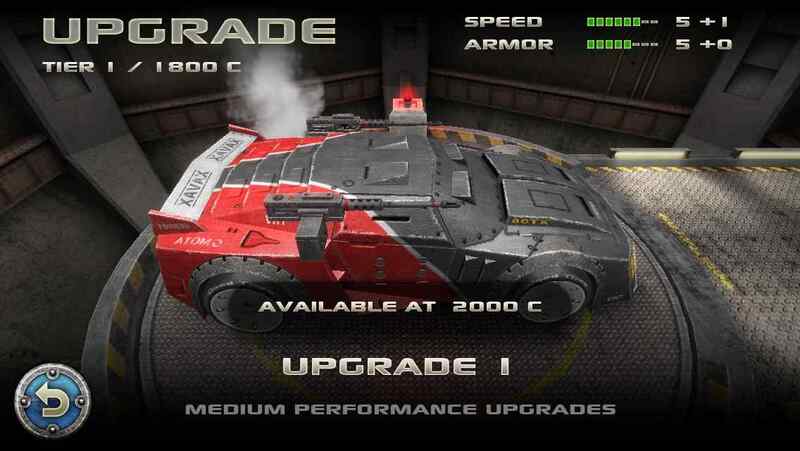 There are 7 types of cars, each with 2 performance upgrades and 2 armour upgrades. The cars are also visually customizable. 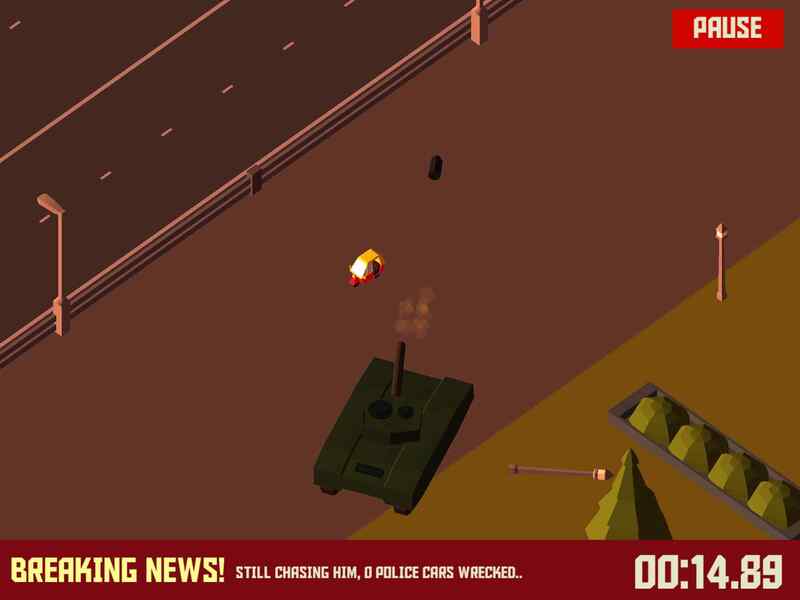 Each car can be equipped with two weapons from 5 types: Machine gun, Missiles, Mines, EMP and Raygun. These weapons become more powerful on higher tiers. The races take place on 9 tracks across 3 different environments. : City Limits, Canyon and Metropolis. Each track also features a reversed version, for a total of 18 tracks. 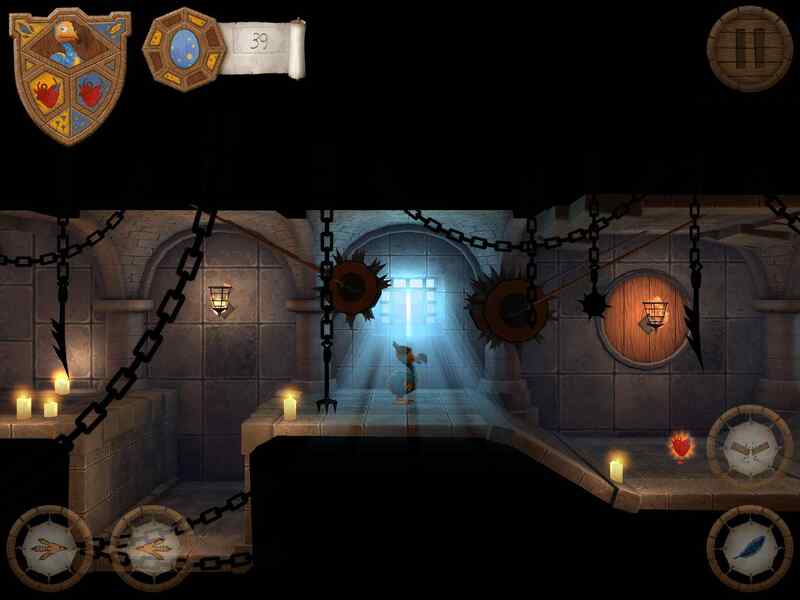 The game is universal and works on all devices starting with the iPhone 3Gs, iPod 3rd gen (except the 8gb version) and iPad 1 up to the latest iPhone 5s and iPad retina. It requires iOS 4.3 or later. 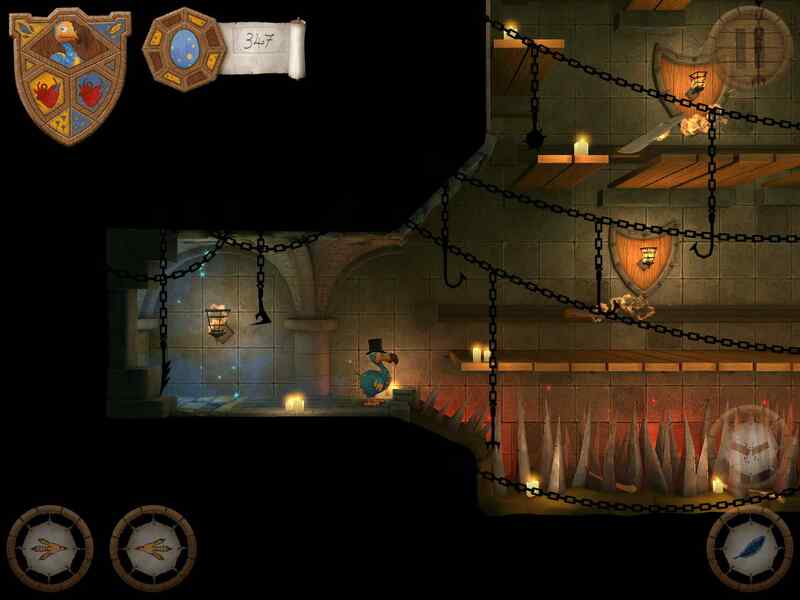 The graphics are tailored for each device’s capabilities and screen resolution. It will be sold as a paid app, for $1.99. 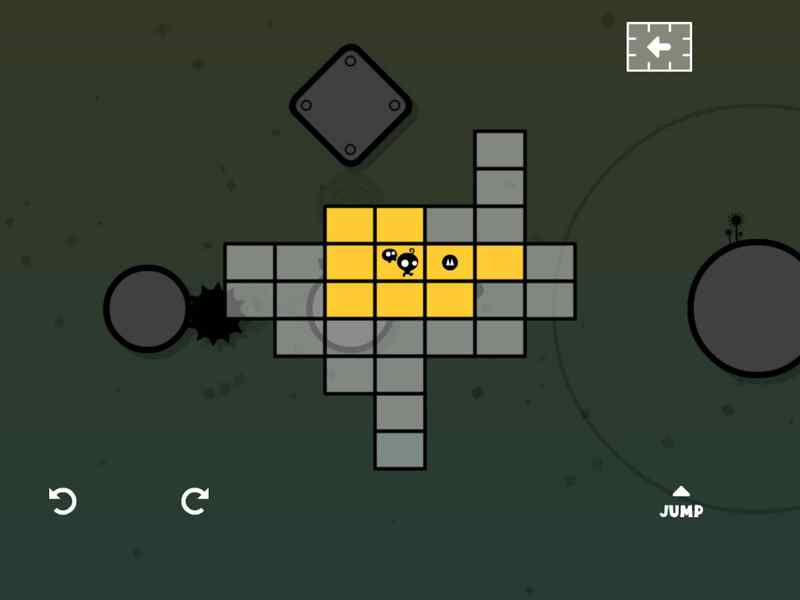 10 word review: Simple gameplay, hugely addictive, 5 different levels immediately available. Recommended! 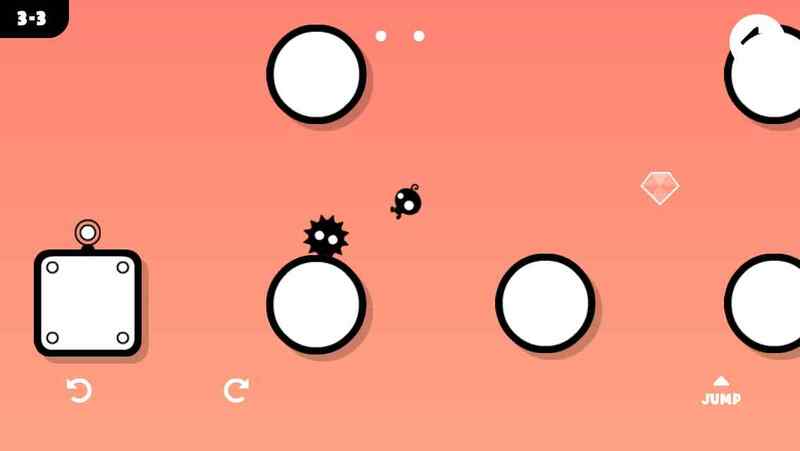 You will like this if you enjoy: Simple, addictive high-score chasing games. The good news: Great controls. Wide variety of locations and cars immediately available. Excellent touch-screen/mobile gameplay. No ads, no IAPs. Car-loads of fun. The bad news: Occasional hitching where the game seems to lag/stick maybe once per level after around 20-30 seconds. Nothing to unlock. 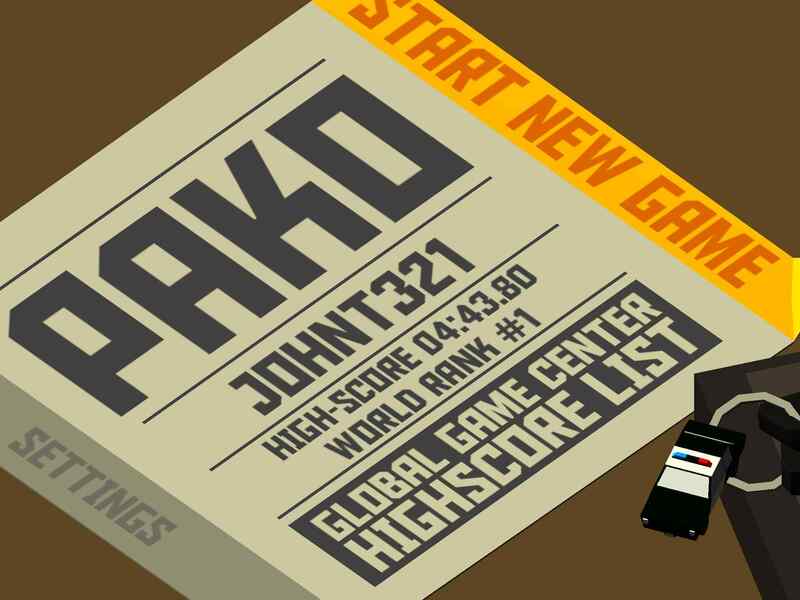 Arcadelife verdict: Apart from the missed opportunity to lock some of the levels or maybe give us some different colour cars or even permanent score boosters to unlock, Pako is a huge amount of fun and a great “best time” chasing mobile game. There’s definitely some kind of minor technical issue with the game hitching/sticking a bit (as seen on both 4th gen iPad and my 5th gen Touch) but it isn’t game-breaking and I’m sure they will fix it soon. This is a good game; you should get it. 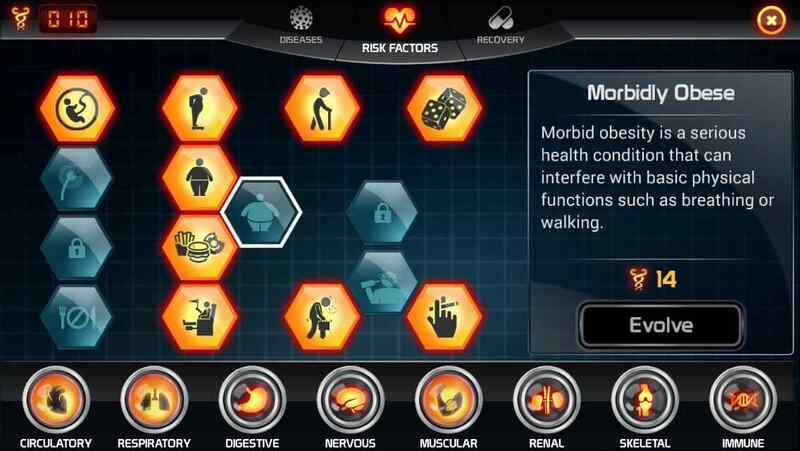 10 word description: Kill patient X with diseases, bad habits and medical incompetence. 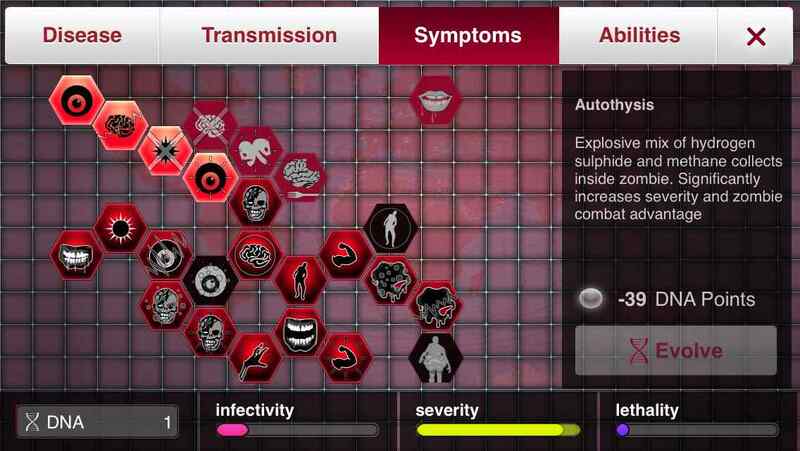 10 word review: Colourful but shallow attempt to be the next Plague Inc.
You will like this if you enjoy: Heart attacks and lung cancer as video game elements. 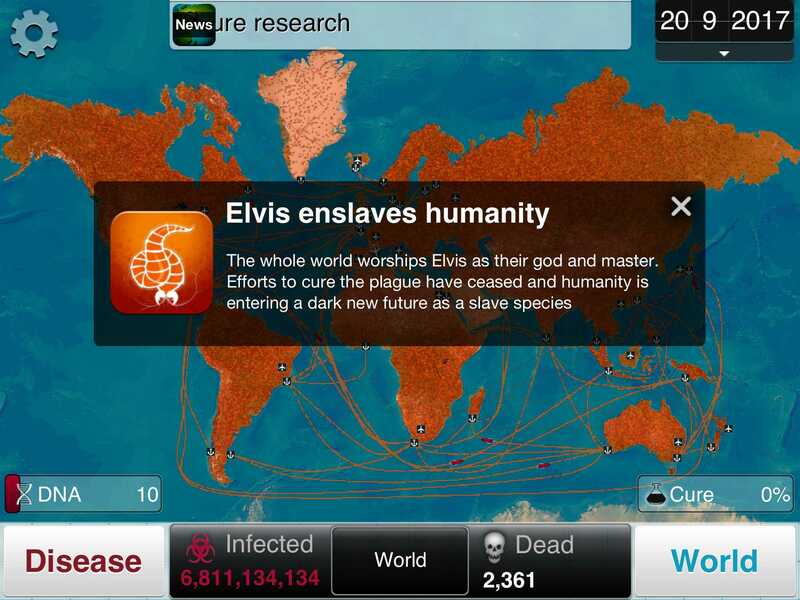 The basic concept of Plague Inc without any of the strategic subtleties or humour. 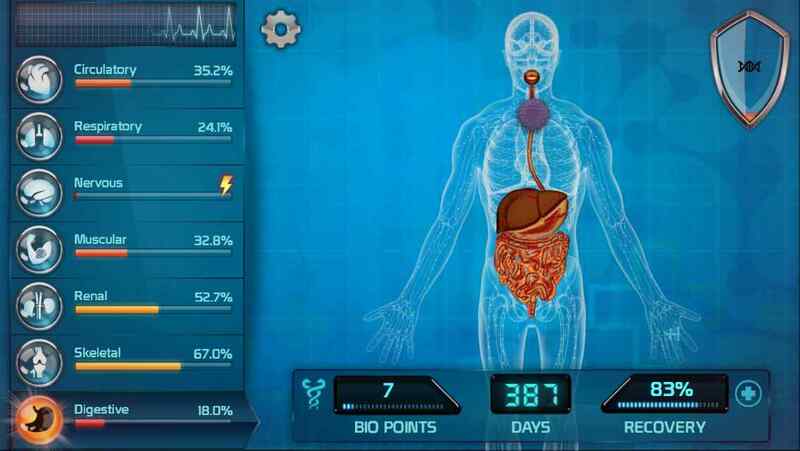 The good news: Visual presentation and graphics are pretty good. The bad news: It’s tapping versus a timer, and that’s it. No real strategic depth, in fact I’d hesitate to call this strategic at all, just too much reliance on tap-tap-tapping. Game progress (the recovery timer) continues no matter what screen you’re on. Notifications have one version, no variety between patients. The different patients feel extremely similar, almost identical, despite the promise of the patient/victim selection screen. 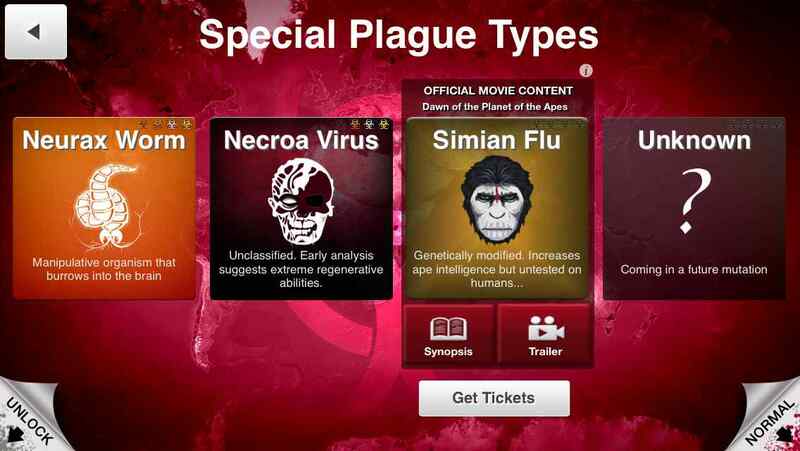 No extras (like the genetic advantages in Plague Inc., for example) to unlock, which would have made progressing a heck of a lot more compelling. 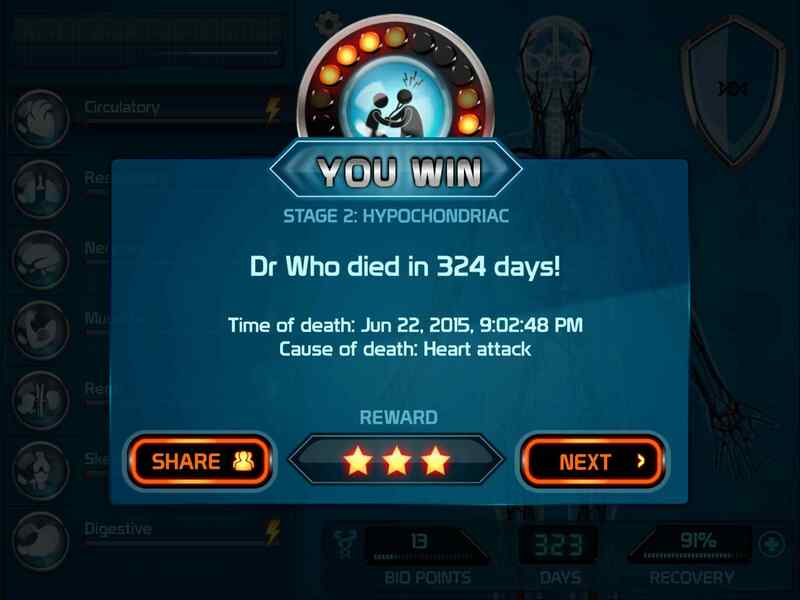 Losing often feels unfair, nothing to do with a failed strategy and everything to do with the timer and the gameplay’s reliance on speed-tapping. Frequently, a 60 year old patient who has multiple fatal, chronic illnesses will recover mere seconds before all their systems completely fail and you will be shown the single, bog-standard notification that they’re going to live a long and happy life. 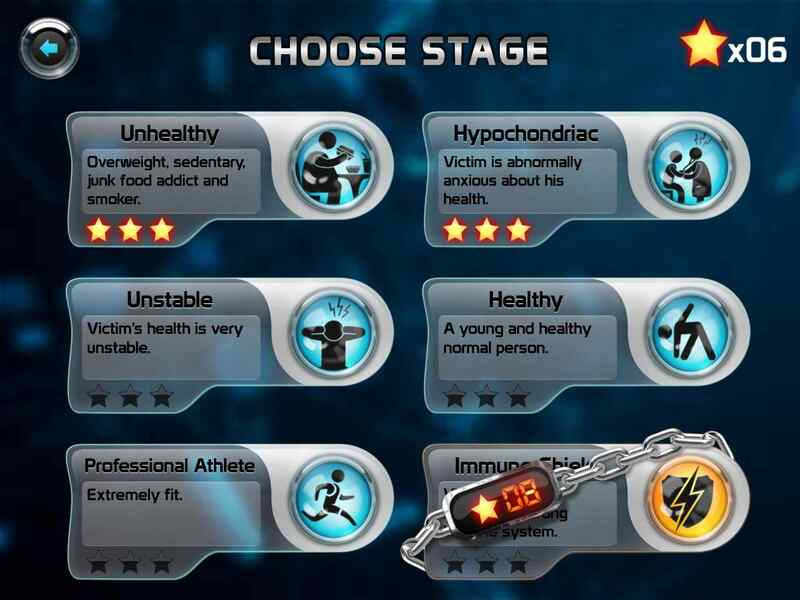 There are no unique messages or any other ways to differentiate between patients within the game. The sombre and depressing subject matter needs some kind of humour, however dark, to balance it out. 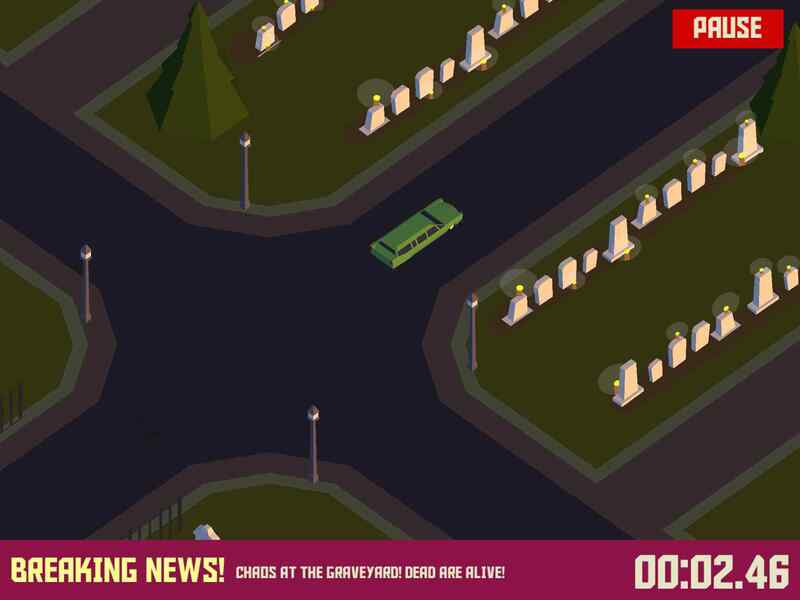 Arcadelife verdict: I’ve probably said all I need to say in the bad news section. 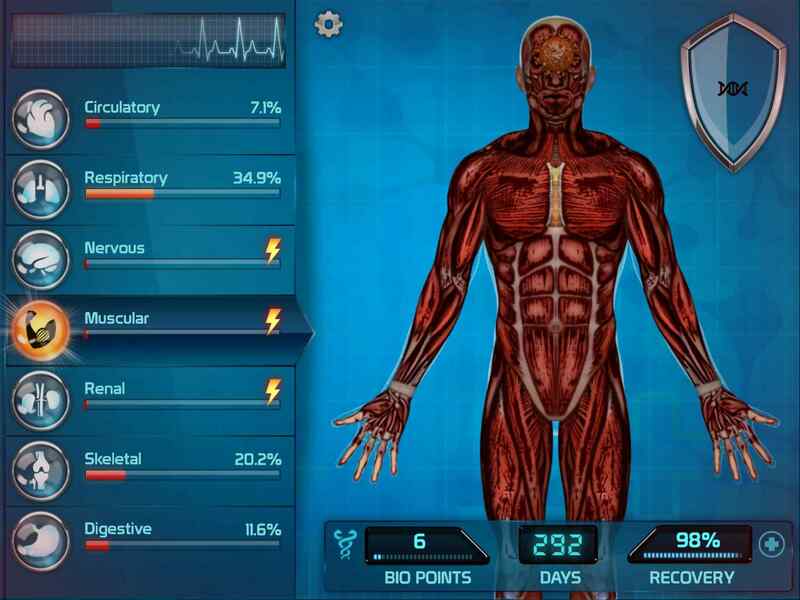 Bio Inc desperately requires a radical overhaul of the game mechanics to come anywhere close to the experience available in Plague Inc. There’s only one way to win any scenario – beat the recovery timer. 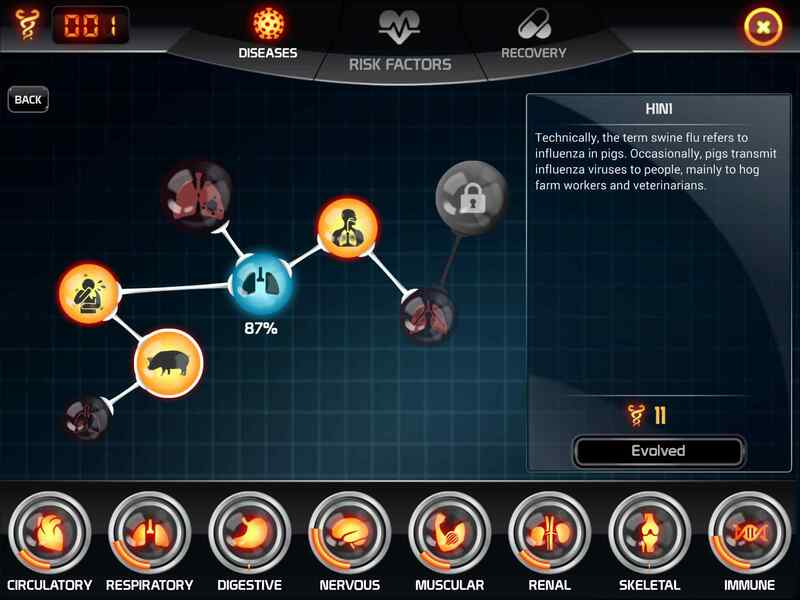 There’s no option to be a stealthy disease, a cautious disease, a kill-switch disease, a decoy disease or anything else that might have been fun. 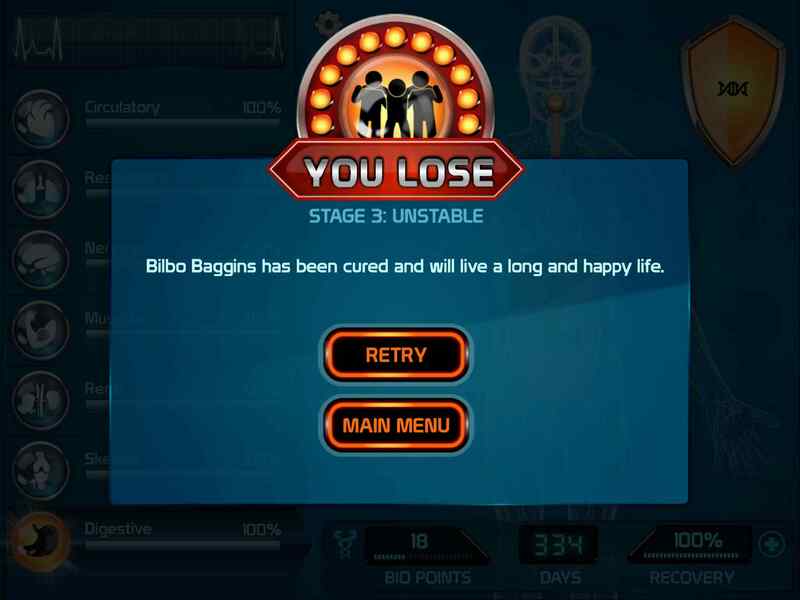 You just have to tap-tap-tap those DNA bubbles (sorry, but yeah) and become super-adept at whizzing around the screens while the rather unrealistic “recovery” timer relentlessly counts down. 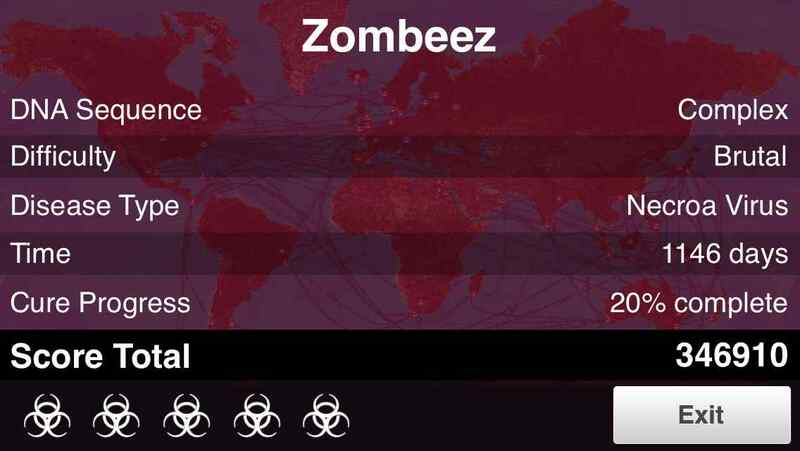 In Plague Inc., losing often feels like a victory for mankind. Here, it just feels like a cheap-shot and a good reason not to bother playing any more. The app store blurb claims there are “Thousands of ways to play the game”. Sorry, no; there’s only one way to play it and that one way isn’t a heck of a lot of fun. 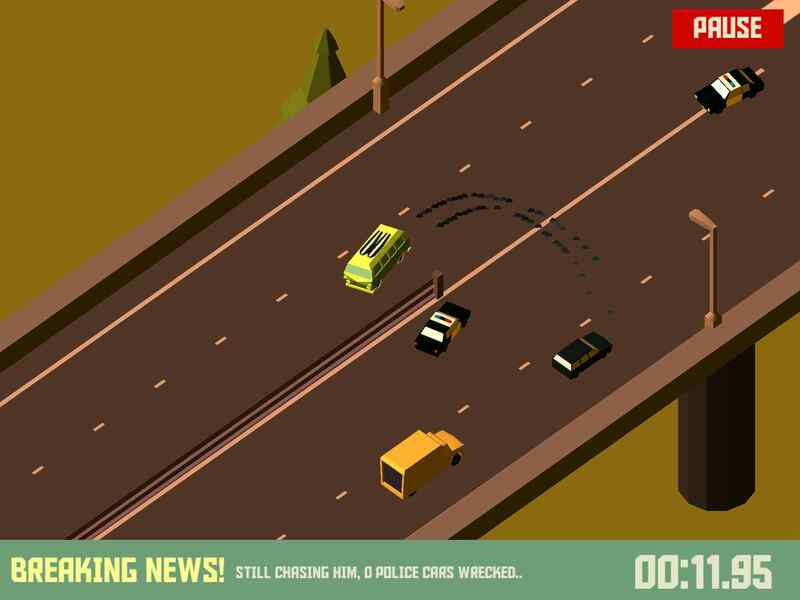 10 word review: Colourful, slick action. 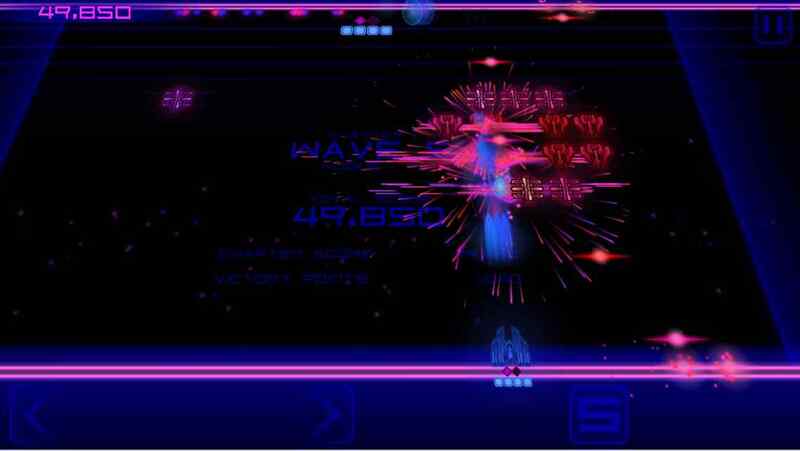 Galaga meets gravity swapping in neon lightshow. 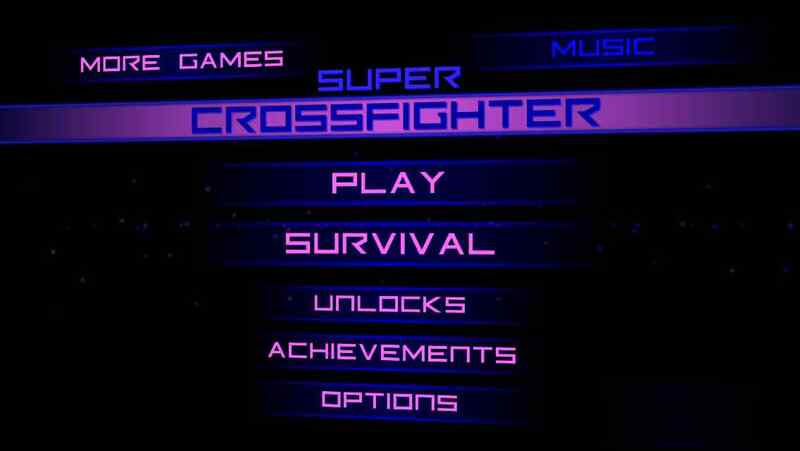 You will like this if you enjoy: Old school arcade shooters. With a twist. The good news: Very pretty graphics. Responsive, reliable controls. Loads of levels. Ship upgrades add greatly to the sense of progression. 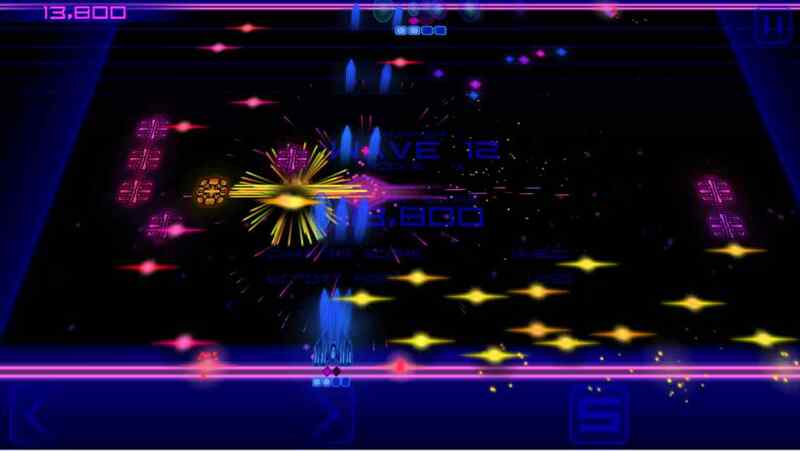 Swapping sides (top and bottom of screen) feels similar to the polarity shooter mechanic and adds an extra dimension to the otherwise fairly standard gameplay. 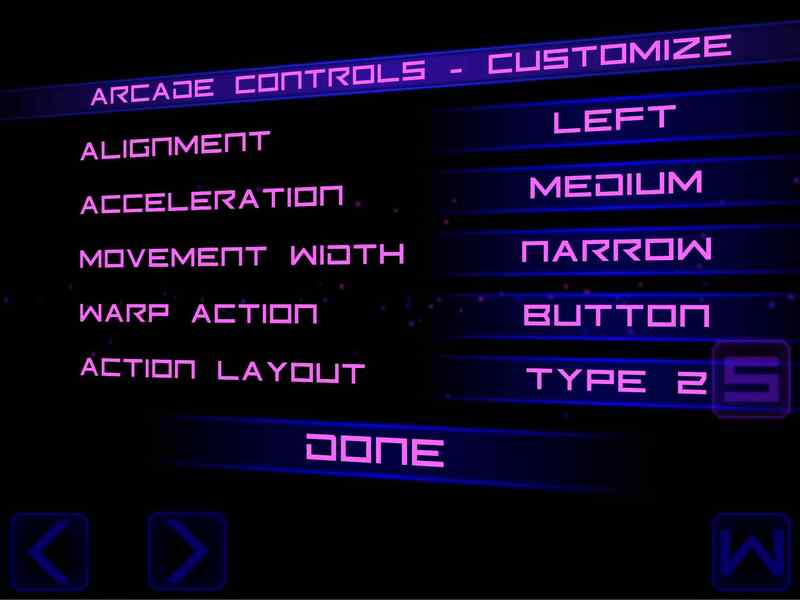 Tons of control & interface customisation options. The bad news: This is hardly a criticism, but I prefer Inferno+, Radiangames’ dual-stick mash-up of Gauntlet and Geometry Wars set in an RPG reimagination of the Pac-Man maze. If that sounds even remotely interesting (and you haven’t played it yet), I recommend checking it out immediately. 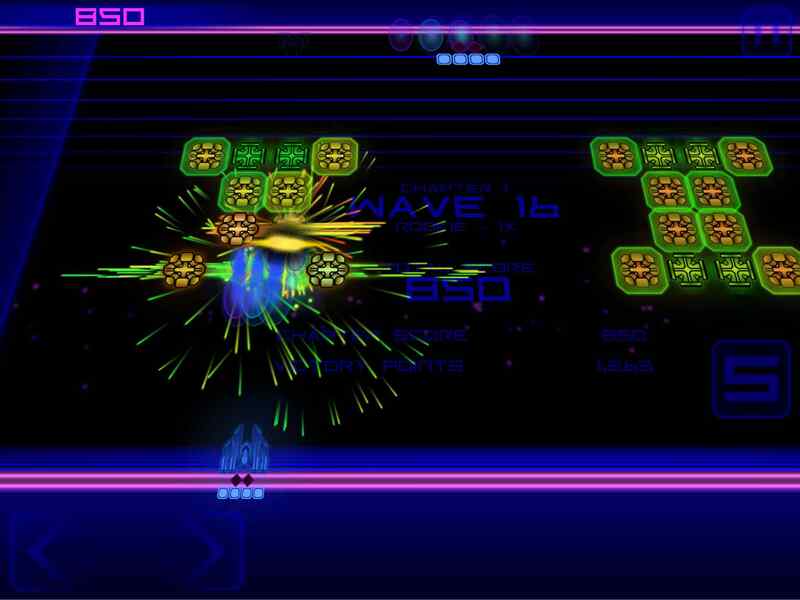 Arcadelife verdict: It’s a retro shooter with a screen-flipping gimmick. 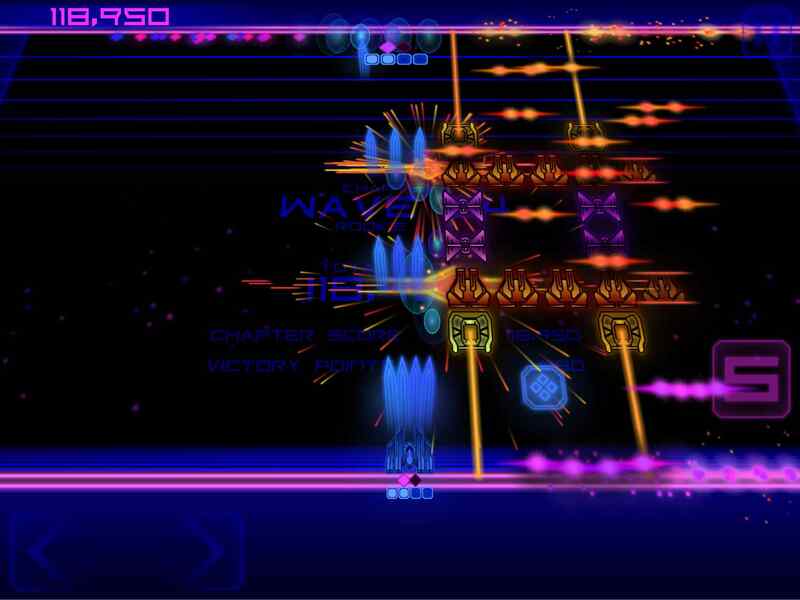 It’s also a highly polished, addictive and rather gorgeous looking slice of ultra-cool touch-screen gaming. 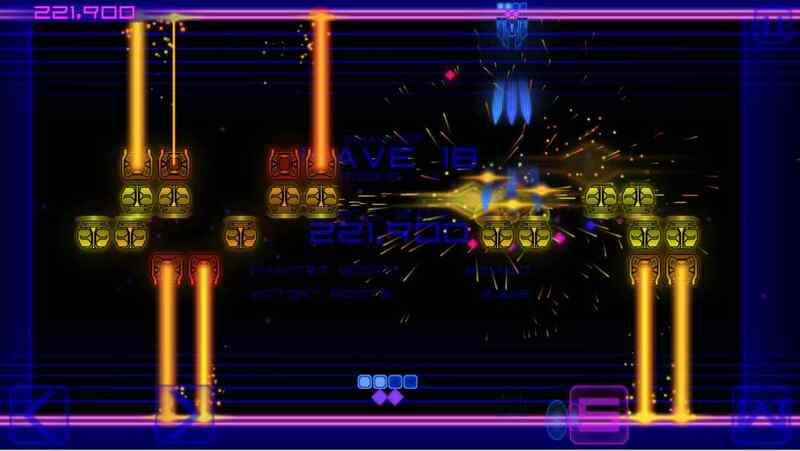 If not for the fact that it doesn’t quite reach the standard set by its stablemate (Inferno+), there is absolutely no reason why any shoot-em-up fan wouldn’t want this on their iOS device. 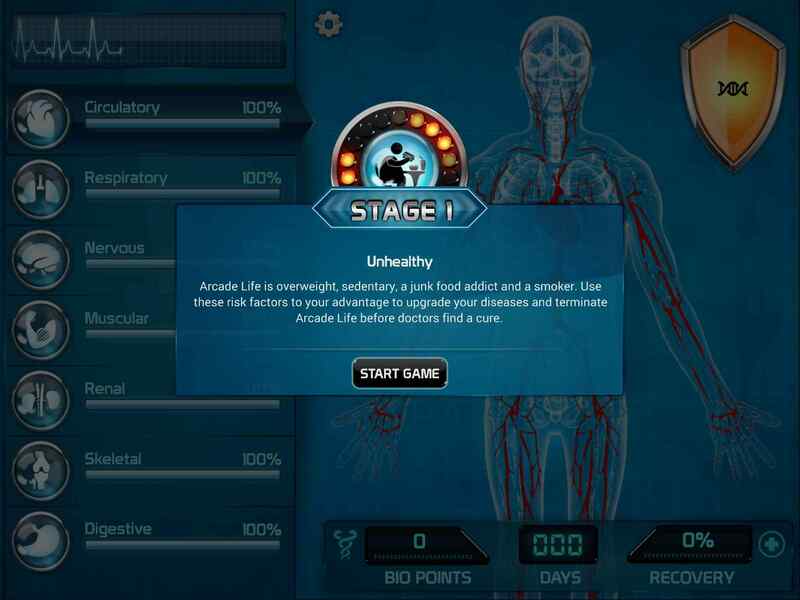 You are currently browsing the ArcadeLife : Life vs Video Games blog archives for August, 2014.